Sabina Sudan is a corporate lawyer with over 25 years of professional experience – 15 in legal (India and the US) where she advised different industries, and since 2005, in global Ethics & Compliance, Anti Corruption and Ethical Leadership. She has lived and worked in India, New York and Singapore and travelled to over 60 countries, mostly on business. 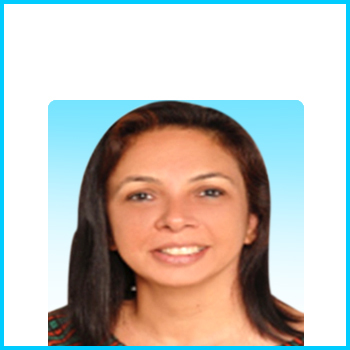 She is a Consultant and adjunct professor and currently operates from Singapore and Delhi. She is qualified to practice law in Delhi and the US (New York and Arizona). Bachelor of Arts (B.A. Psychology Major, First Div.) Lady Shri Ram College, Delhi University. For the Aug – Nov 2016 semester, Sabina is a Senior Adjunct Lecturer at the National University of Singapore (NUS) where she teaches a seminar on “Sustainability Strategy” in the MBA program and an Adjunct Associate Professor at the National Technological University’s (NTU) Business School where she teaches a seminar titled “Legal and Ethical Issues in Sustainability” in the Bachelor’s program. She taught this seminar at NTU earlier from Jan – Apr 2016. She has been a guest speaker for the NTU MBA program. Her seminar content focuses on Ethical Leadership and Sustainability based on the Environment, Social issues (Labor and Human Rights), Governance and Anti Corruption. Earlier this year, she was a Guest Faculty in Singapore for the New Jersey based Seton Hall Law School’s Asia Pacific Healthcare Compliance Certification Program where she presented on Ethical Leadership. Sabina was an Adjunct Professor at the Faculty of Law, Delhi University for a year from 1996-1997. She taught Contract Law, Business Associations, and Public International Law. From Nov 2010 to Feb 2015, Sabina was the Vice President and Compliance Officer, Pharma International (all markets ex-US) with GlaxoSmithKline (GSK). She was based in Singapore. Sabina supported the President Pharma International and all the Area Business Directors. She was a member of the Area and Regional Leadership Teams. From July 2005 to September 2010, she was a Director with Abbott Labs. 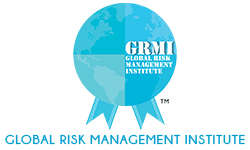 She successfully rolled out an international compliance program across Pacific Asia and Africa as early as 2005. She designed policies and procedures for the compliance program and worked with senior leaders to reinforce an ethical culture. Currently, Sabina’s consulting focus is to strengthen Ethical Leadership and Anti Corruption and help company’s structure, implement and embed effective compliance programs. This includes identifying resourcing of the program/team with a pragmatic focus on scalability, relevant skills and the ability to influence good governance. Since 1990, she continues to be a speaker/panellist/moderator at external conferences in the Philippines, Singapore, Taiwan, Malaysia, India, New York and Arizona; and, at internal regional meetings at Abbott and GSK where she has also provided training to senior leaders in anti corruption, codes of conduct, conflicts of interest, values based decision making and related topics. Her recent Board related experience was from 2011 to 2014 when as Vice President and Compliance Officer (Pharma) at GSK she partnered with the Business President to prepare and present the Annual Business Report first to the Audit & Risk Committee and subsequently to the global Board. Previously she was the Secretary of the Board at UGO Networks Inc., New York; and a Non Executive Board Member with Winrock India (1997 – 1999), a US not for profit organization based in Delhi. She co-anchored “India Business Week”, a weekly program on Star TV broadcast to 59 countries in the Far East, South Asia, Australia, New Zealand and the Middle East, from August 1998 – September 1999 where she researched business issues to help define program content and conducted in studio interviews with business and corporate leaders, government ministers and officials and authors. In October 2010, successfully completed a trek to the Everest Base Camp.